In recent years, bi-fold doors have become extremely popular. Their simple concertina design provide you with uninterrupted access to your garden, patio or balcony, allowing your outdoor and indoor spaces to merge together for an increased sense of light and space. 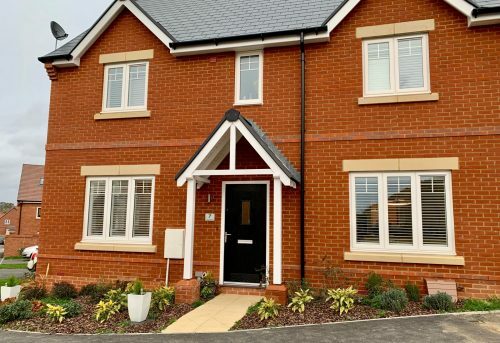 If you have embraced this super stylish and very practical home trend, you might want to consider dressing your bifold doors with tracked plantation shutters. 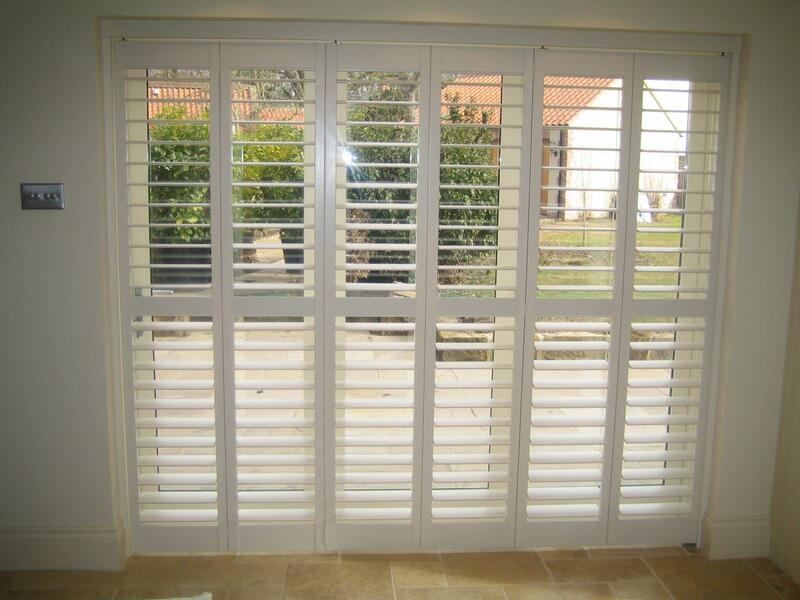 Here we give you an overview of why tracked shutters are such a good fit with bifold doors…. Tracked shutters work in a concertina fashion. Mounted and run on a track rather than hung, they can be neatly folded away to one side of your bifold doors when you want full access or to let lots of light and fresh air in. They are very smart in design and provide a clean and tidy window dressing solution for large windows and bifold doors that will create a lovely feature for any style of decor. Tracked shutters provide you with lots of control over the amount of light you let into your room. Rooms with bifold doors can often have problems with glare, due to the large amount of glazing, but tracked shutters can help you to control this, without losing the view or restricting the ability to keep your bifold doors open. Choose to open up the window completely by moving the shutters to the side, soften the light coming in by tilting the louvres or block it out completely by pulling the shutters across the window and closing the louvres. Bifold doors are designed to flood a room with light, but if you want to create some extra privacy from your large bifold doors, tracked shutters are a great solution. Pull the tracked shutters shut to provide full coverage and complete privacy. Or, if you want partial privacy without blocking out the light, simply tilt the louvres as required. With large expanses of glass, bifold doors can sometimes leave a room feeling too hot or too cold. If, during the winter months, your bifold doors are making your room feel cold, tracked shutters can provide an extra layer of insulation, trapping the heat in. Conversely, tracked plantation shutters can help to keep your room cool on hot summer days. 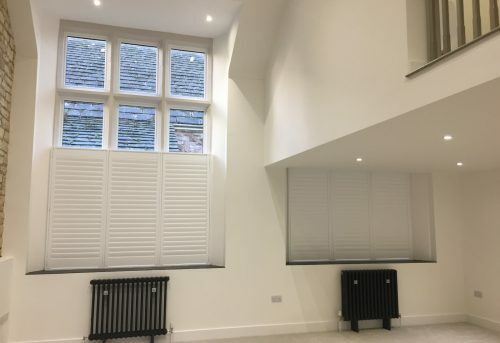 Made from strong and robust wood, MDF or plastic, tracked shutters are extremely durable and will stand the test of time, even with frequent use. 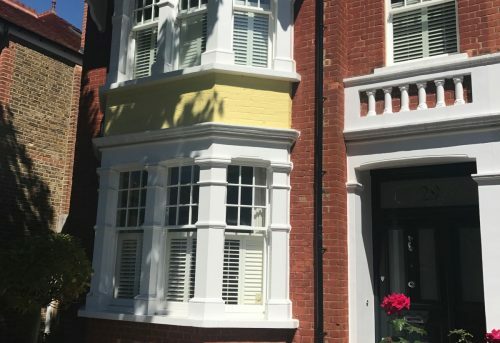 All of our shutters are custom made to fit to ensure they work perfectly and will provide you with excellent window coverage. We even provide a 5 year guarantee for peace of mind.